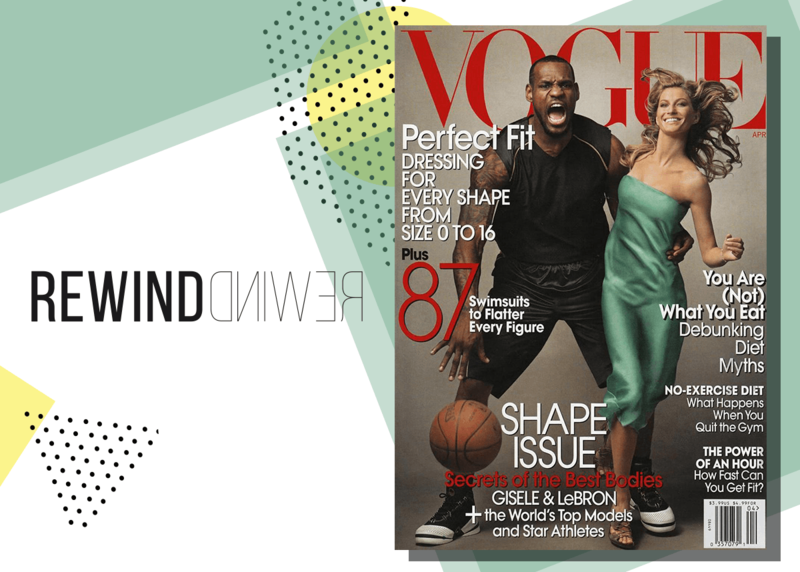 10 YEARS AGO... since the amazing Lebron James and Gisele Bundchen Vogue cover! The year was 2008, Brazilian beauty Gisele Bundchen was possibly the biggest supermodel in the world, and basketball player Lebron james was one of America’s greatest sportsmen. But when the pair appeared together on the April cover of Vogue that year, it wasn’t their joint momentous achievements or the fact that the couple looked absolutely gorgeous together that made it so newsworthy, it was that James was the first black man to ever appear on the cover of Vogue in the magazine’s 116 year history. Despite the fashion bibles good intentions however, the cover caused controversy provoking allegations of racial stereotyping, with some critics saying the image of James, his teeth bared in a mixture of a roar and a growl, is "ape-like". Patrick O'Connell, a spokesman for Vogue, said the magazine had chosen to "celebrate two superstars at the top of their game" for the cover of the annual "Shape" issue, which also features a series of unusual athlete-and-model combinations inside. "We think LeBron James and Gisele Bundchen look beautiful together and we are honoured to have them on the cover," he said. The 6ft 9in sport star says he was just showing ‘ a little emotion’, and was incredibly proud of the historic cover, adding: "Who cares what anyone says?" Then and Now: Remember when Nicole Kidman had Red hair?